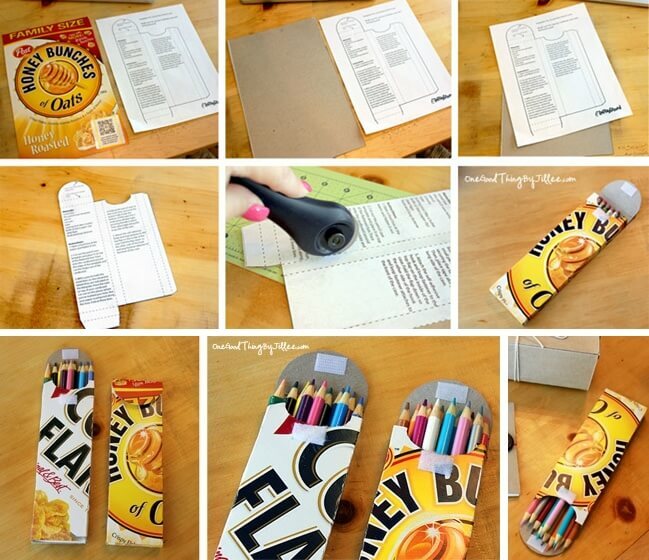 What To Do With Old Cereal Boxes? 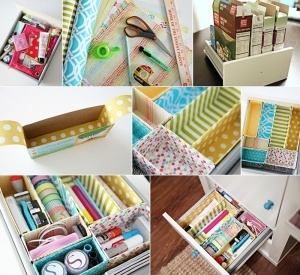 Jillee at One Good Thing by Jillee has cut and covered cereal boxes with washi tapes in different patterns and colors and the result is some truly cool striped magazine organizers. 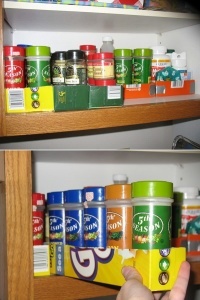 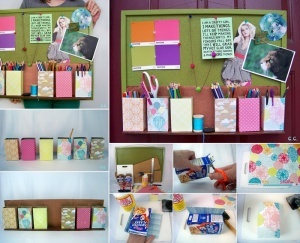 Jen at I Heart Organizing has shared an idea for all those drawers in your home that are running wild and messy. 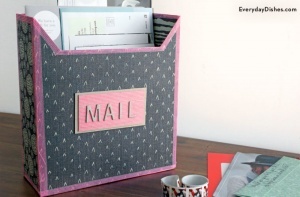 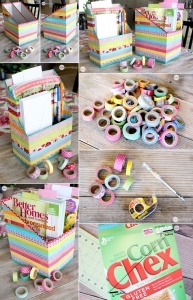 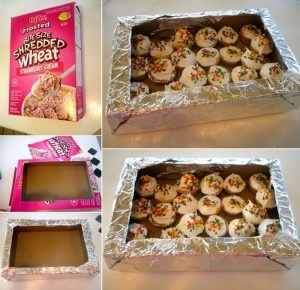 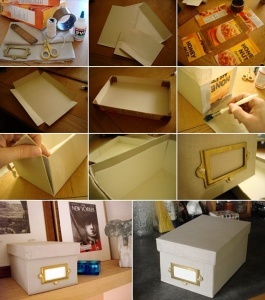 Simply cut cereal boxes to the height of drawers and then cover them with scrapbook paper and divide the drawers with them. 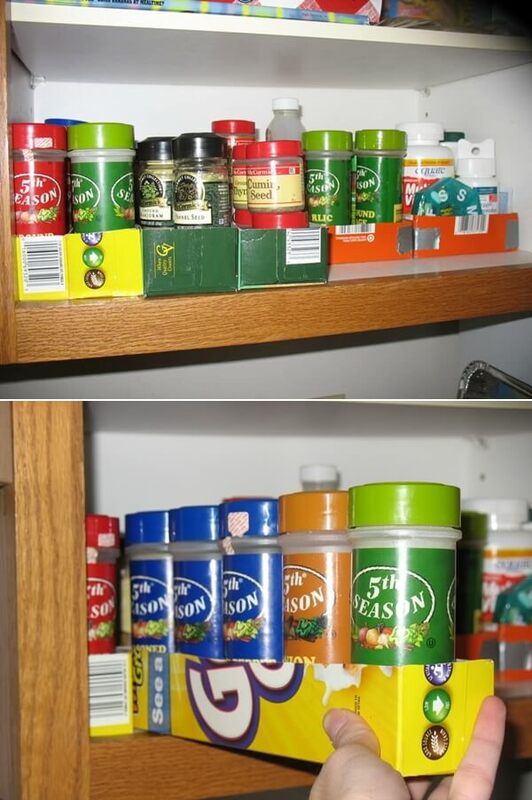 Easy isn’t it? 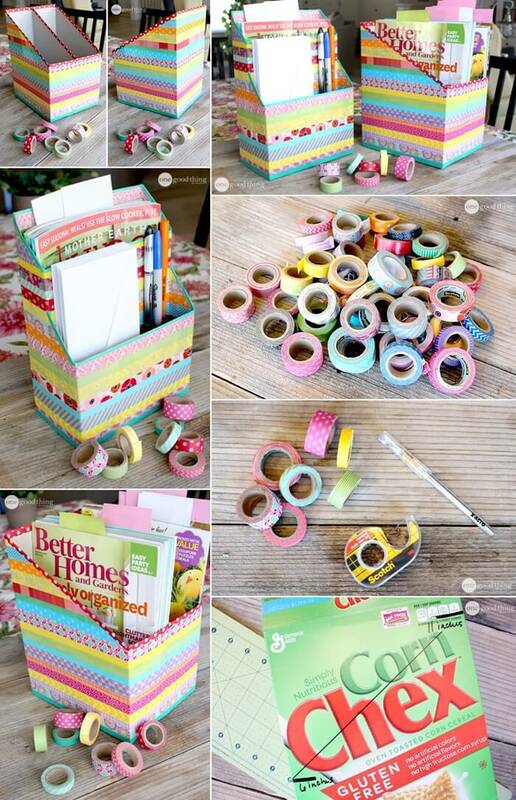 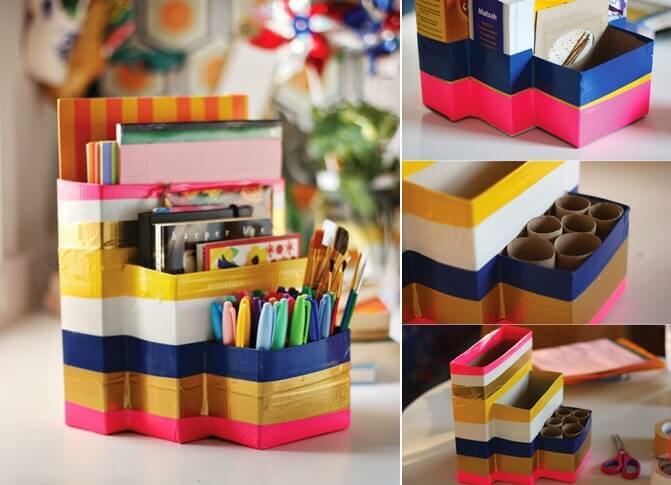 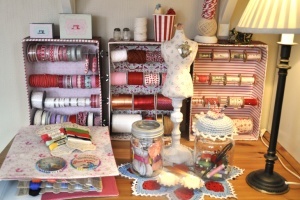 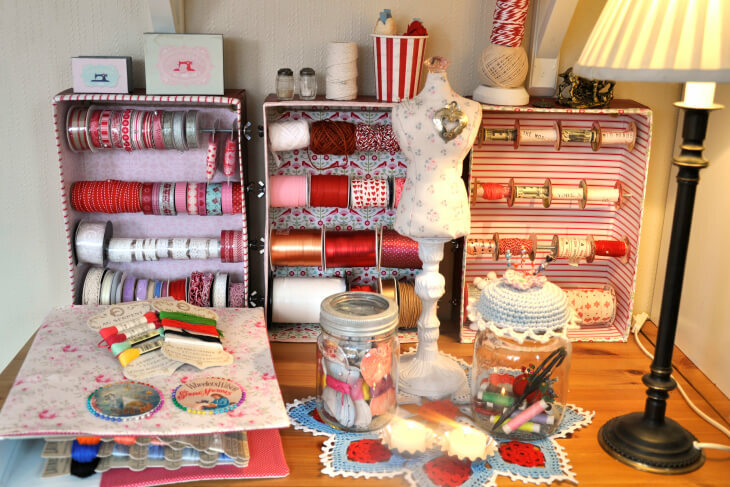 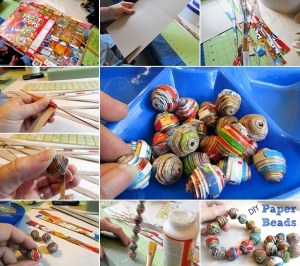 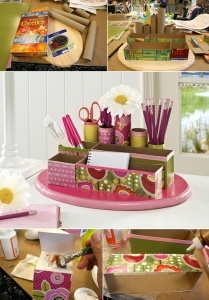 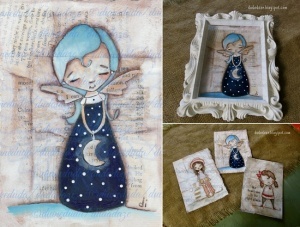 Amy at Mod Podge Rocks Blog has crafted a wonderful desk organizer using cereal boxes and toilet paper rolls. 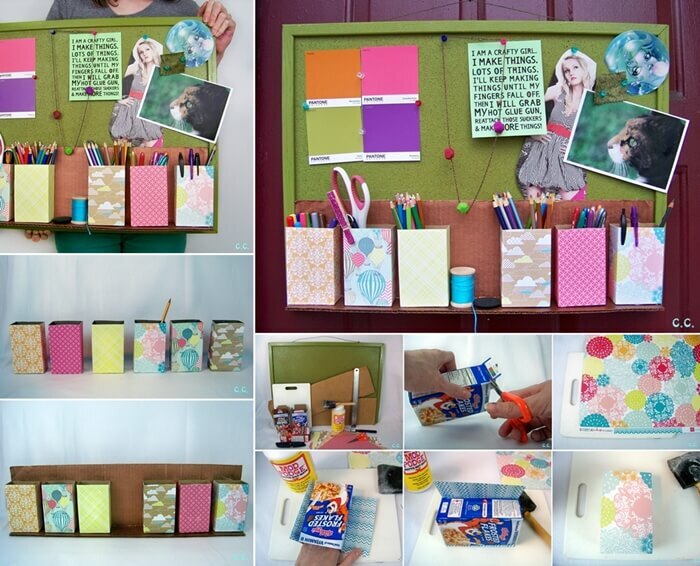 Two thumbs up Amy! 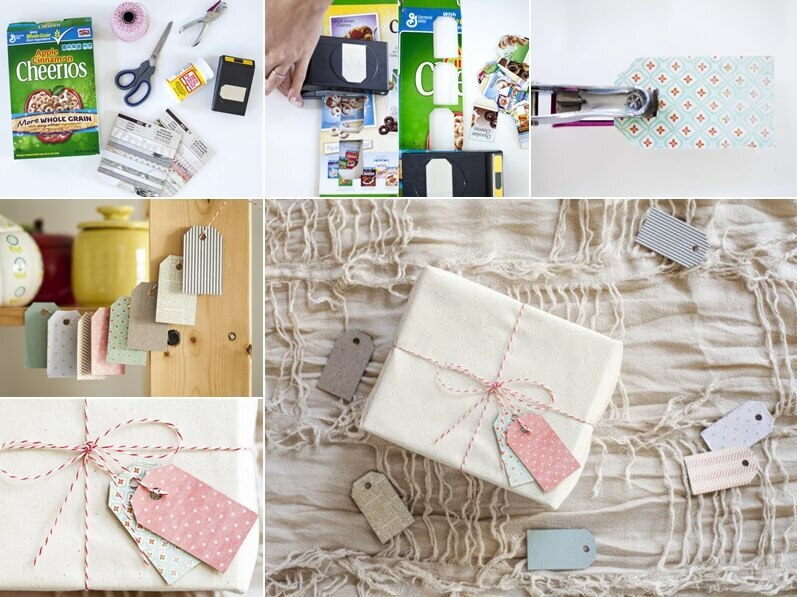 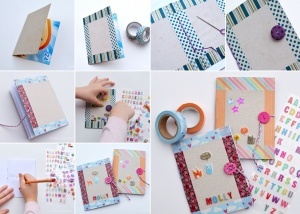 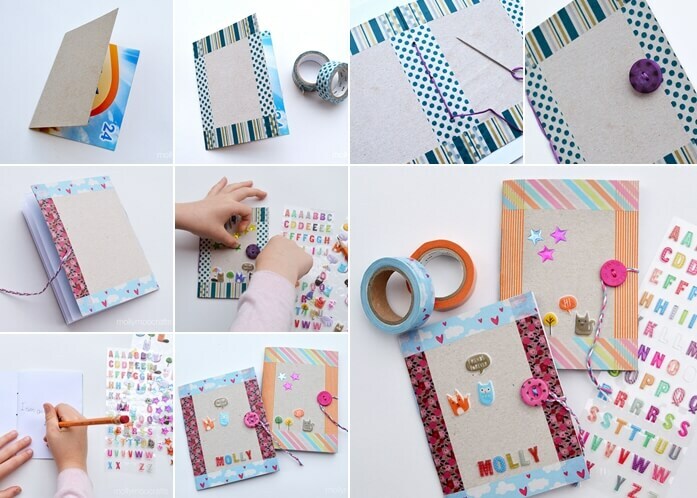 Michelle at Molly Moo Crafts has shared an easy tutorial on making notebooks with cereal boxes, washi tapes, stickers and buttons. 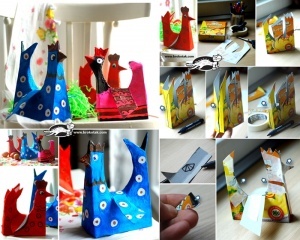 Krokotak has shared a detailed tutorial on making some really adorable hens using cereal boxes. 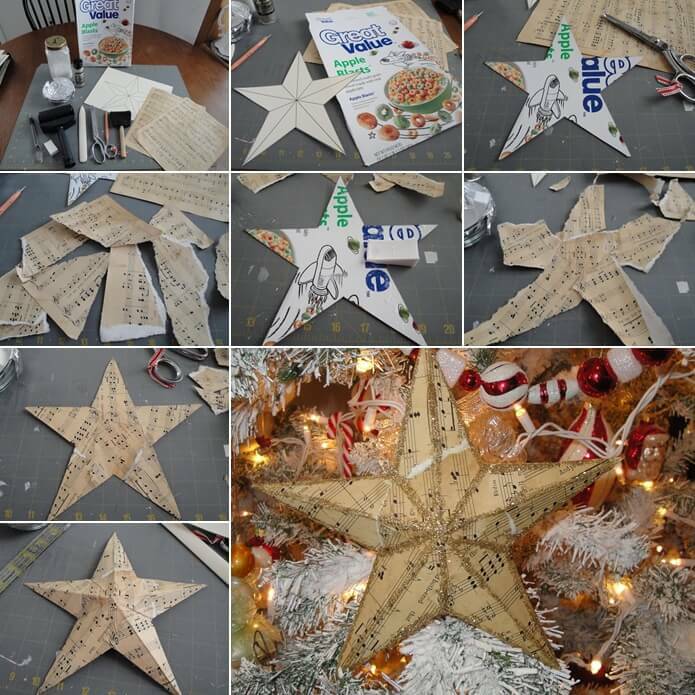 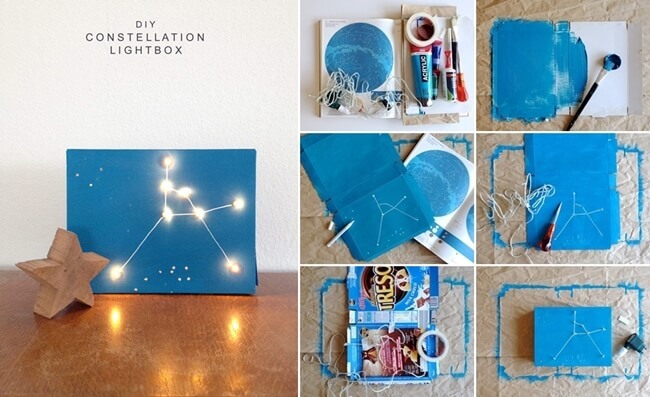 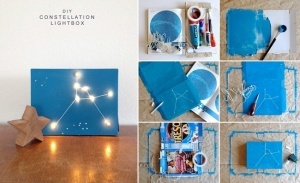 Natalie Kramer at Handmade Charlotte has shared an interesting tutorial of making a constellation light box using a cereal box. 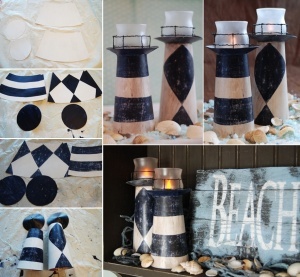 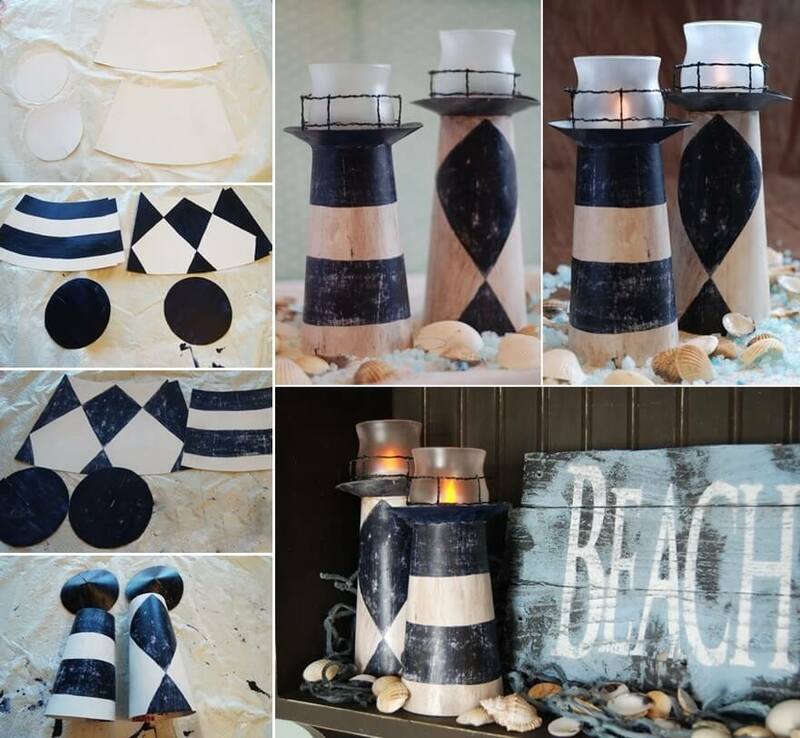 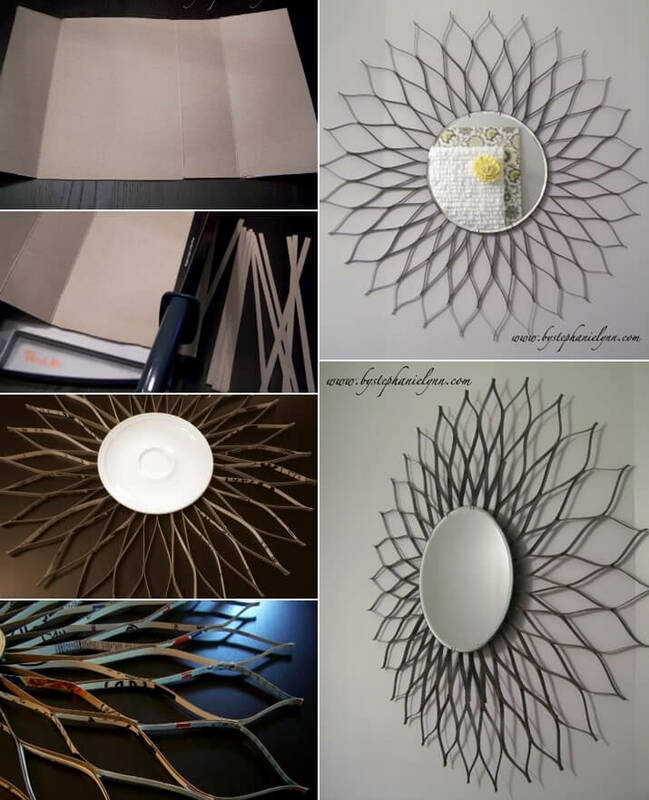 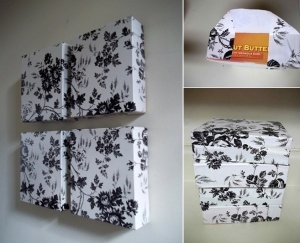 Samantha at Samantha Kamilos has shared a way to make a kitchen cabinet door organizer using a creal box, contact paper and some tape. 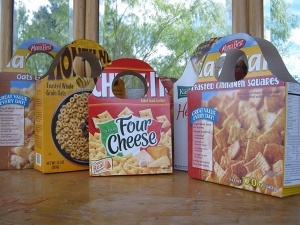 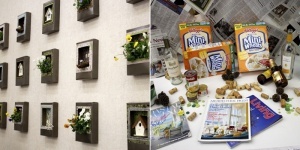 Lisa at Cucicucicoo has a superb idea to recycle all your empty cereal boxes. 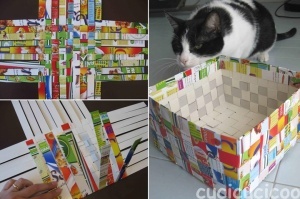 Cut them all in strips and then weave them into a basket. 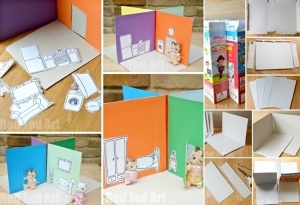 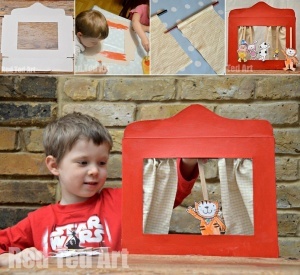 Red Ted Art has shared a creative way to recycle old cereal boxes into a foldable dollhouse that your kids can enjoy with endless fun. 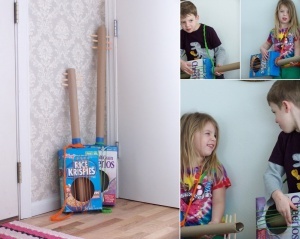 Aunt Peaches has shared a project of a home work caddy to make your kids’ homework time exciting and something they can look forward to. 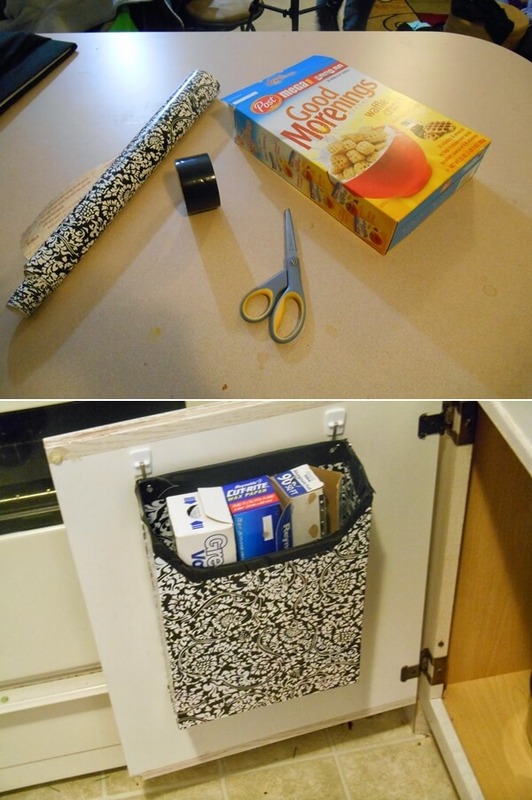 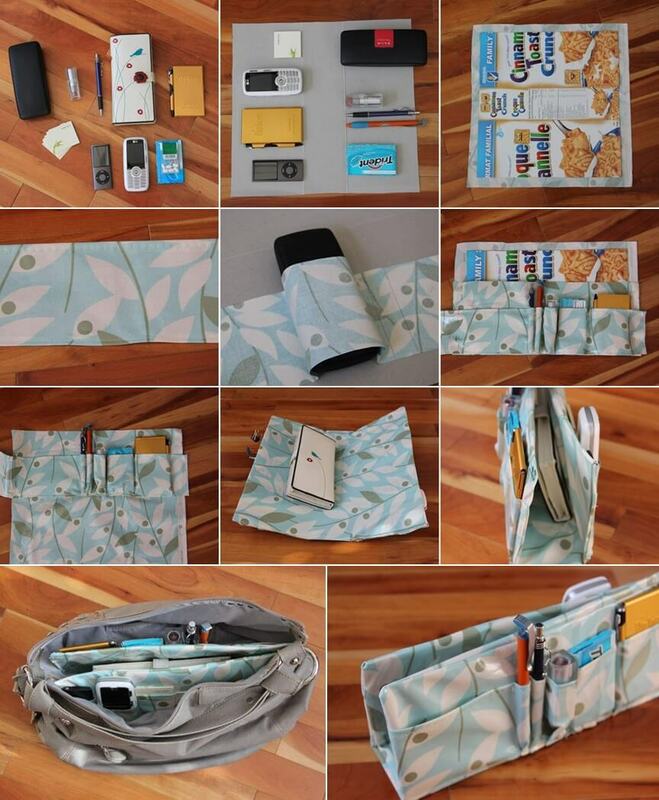 Jen at Fresh Crush has shared an amazing hack for organizing your purse by making a purse organizer from a cereal box and fabric.